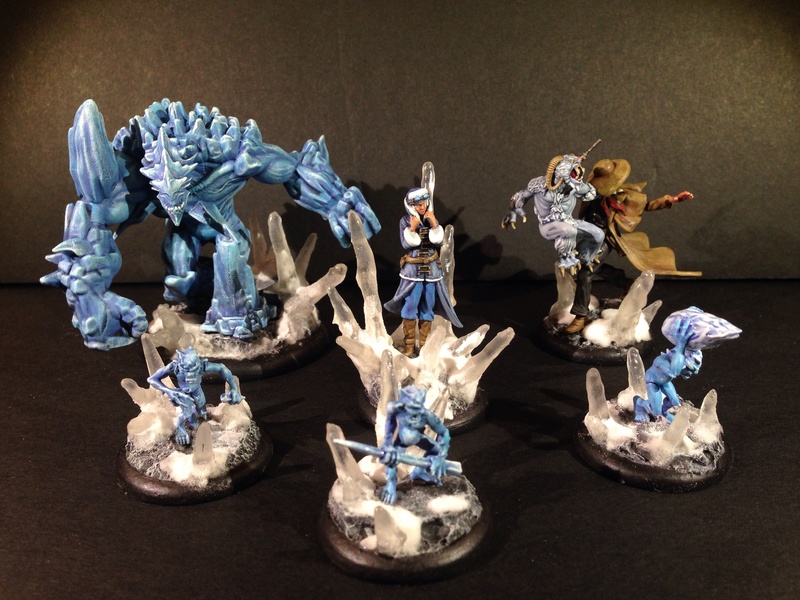 I have finally finished off painting my first Malifaux crew: the Children of December! 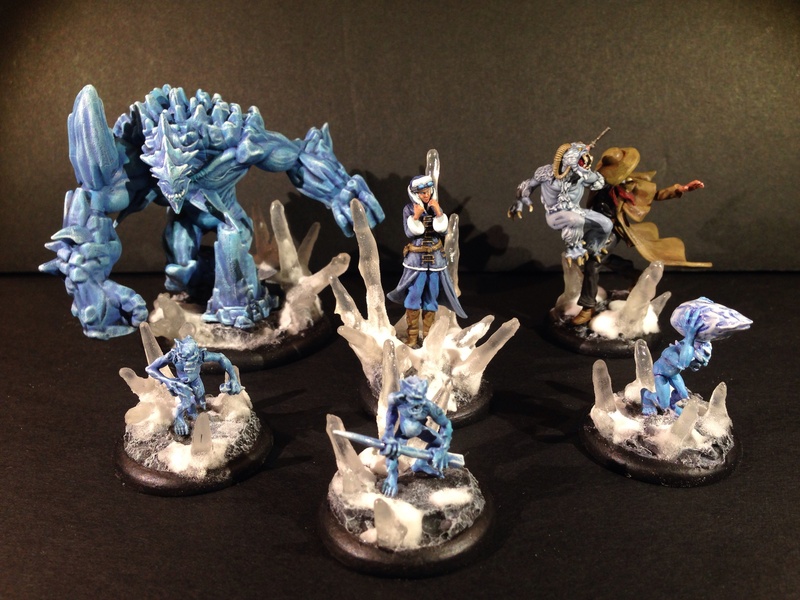 I fell in love with these models at Gen Con last year and finally have them painted, based, and ready to bring icy death to all those who oppose them! 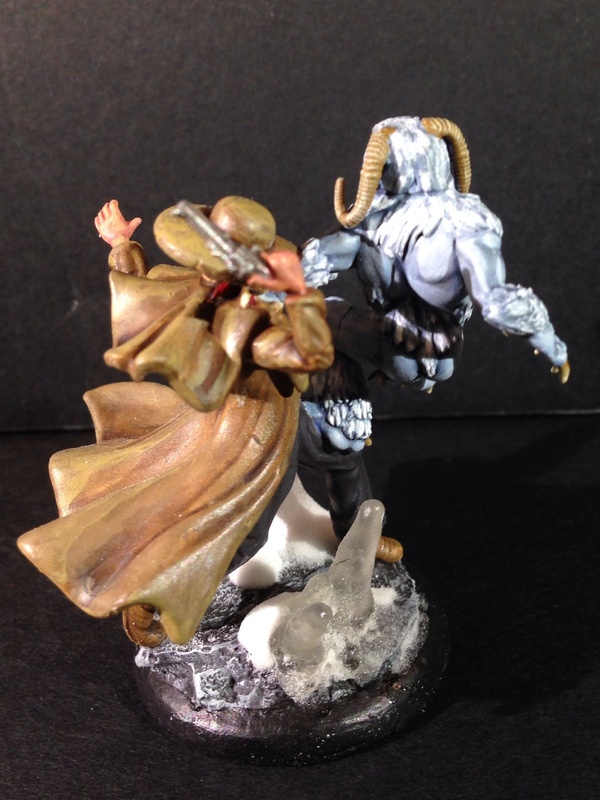 And here is Rasputina’s little, cuddly, bloodthirsty totem, the Wendigo. 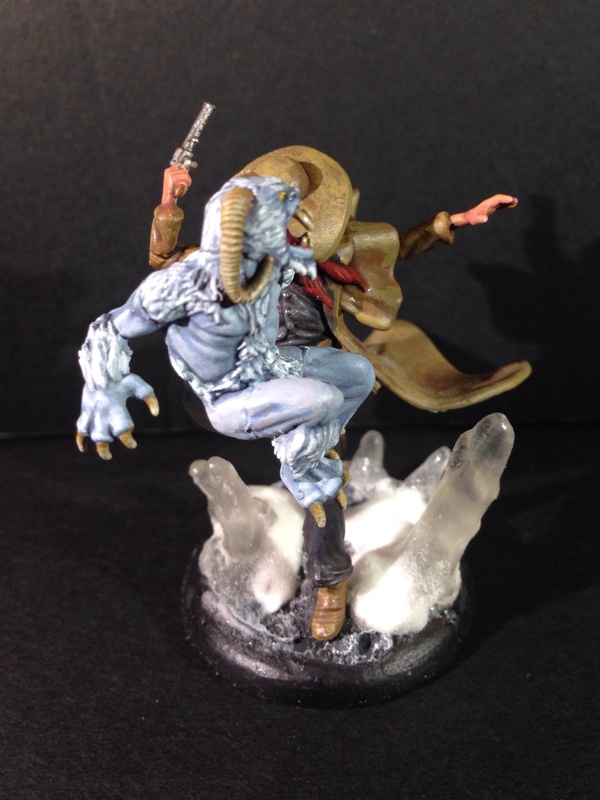 This is honestly one of my favorite models I have ever painted for any game; I love how dynamically this model is posed! 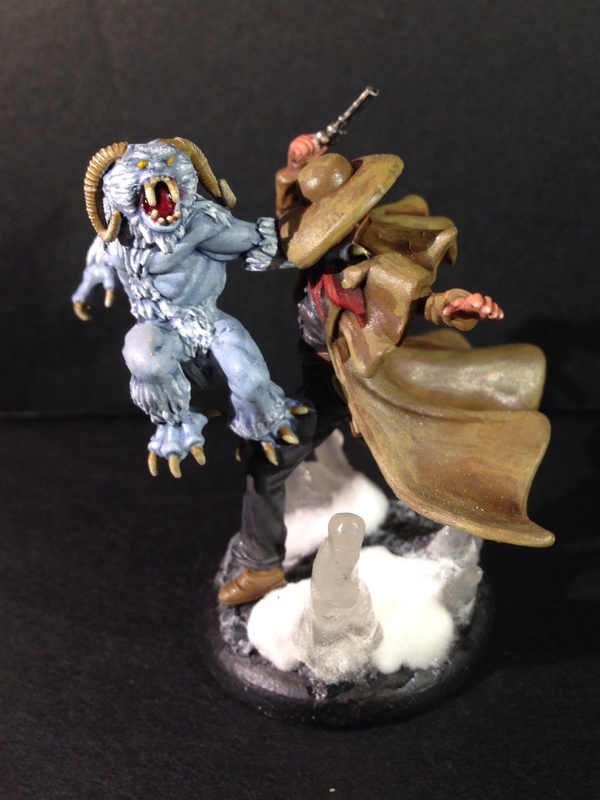 I have some close-ups of the Ice Golem and Ice Gamin in this post. 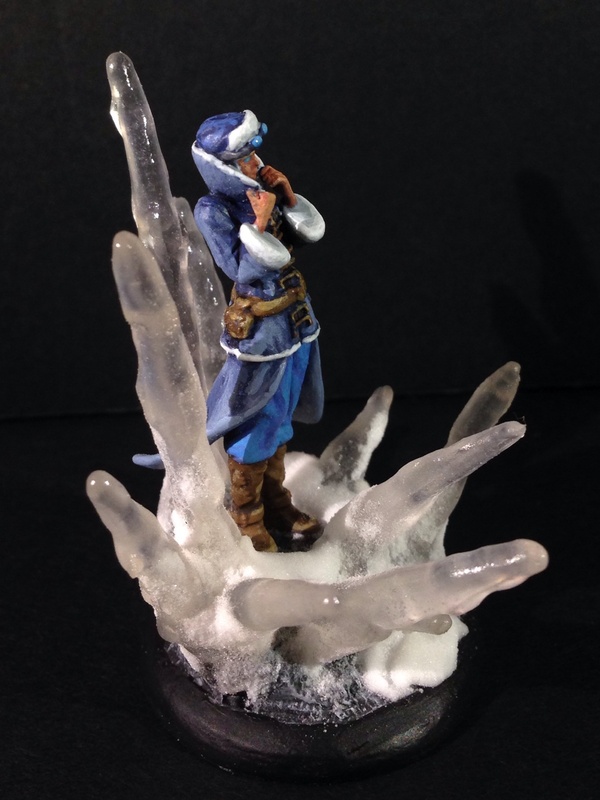 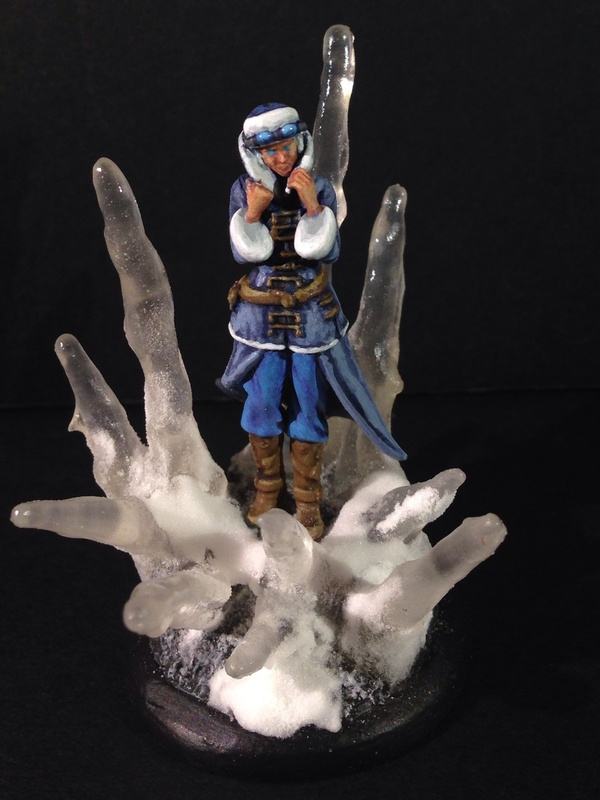 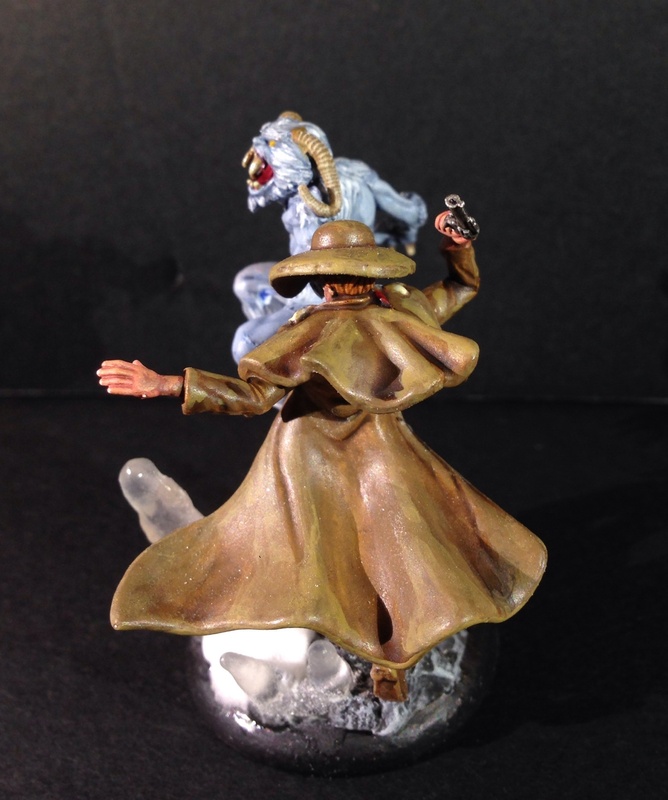 Also, if you are interested in how I did the ice basing, check out my Ice Basing Tutorial. 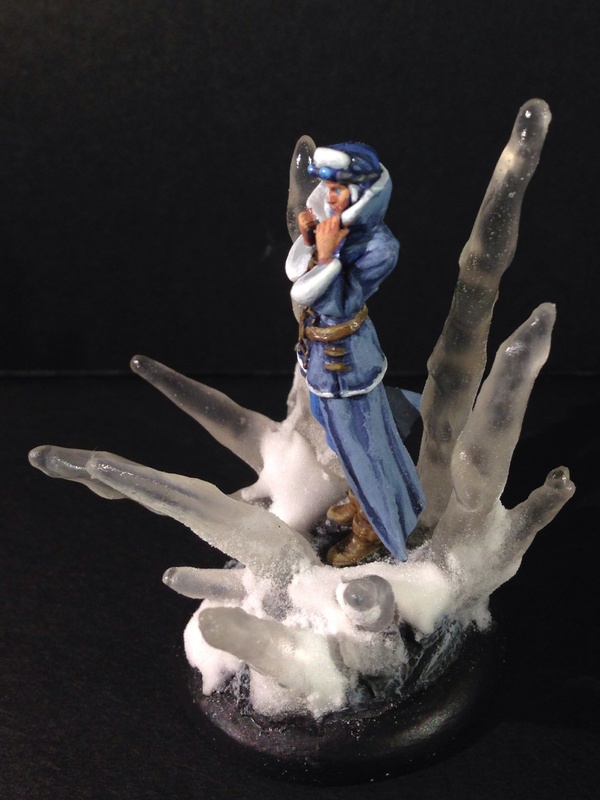 I plan on making some ice pillars for Rasputina to summon using the same technique on a larger scale. 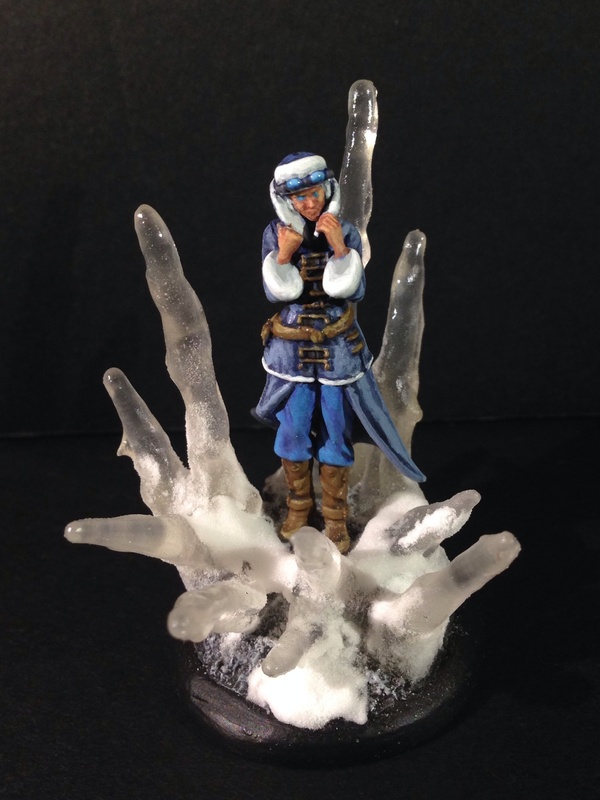 Lovely painting, and it’s great to see your icicle bases with the miniatures to bring out some colour.